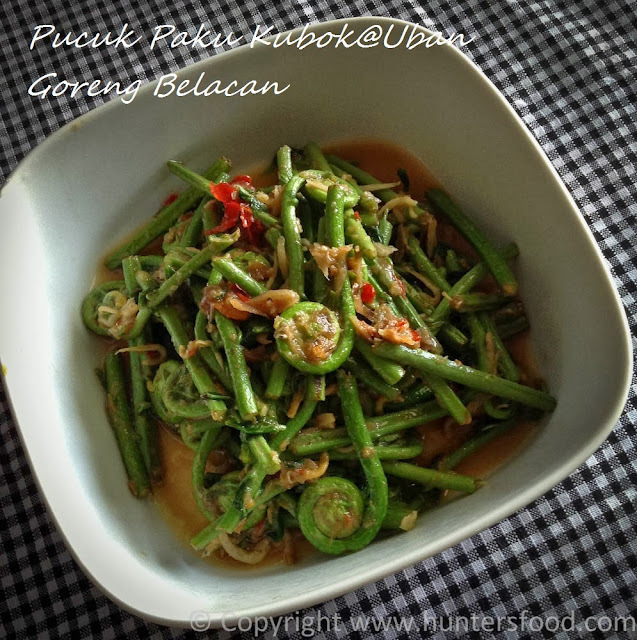 Until recent years, with the exception of the Ibans, not many knows that this wild sword fern are edible and organic vegetable and equally delightful as pucuk paku, or midin, although slightly bitter uncooked. This sword fern with scientific name Nephrolepis acutifolia can be found abundantly throughout the country. This wild fern has slowly start to get recoqnition through cross-cultural communication & close integration of the communities in Sarawak. A simple cooking for this sword fern shall be stir-frying with belacan (shrimp paste). Sliced torch ginger can be added to add additional flavor to this dish. 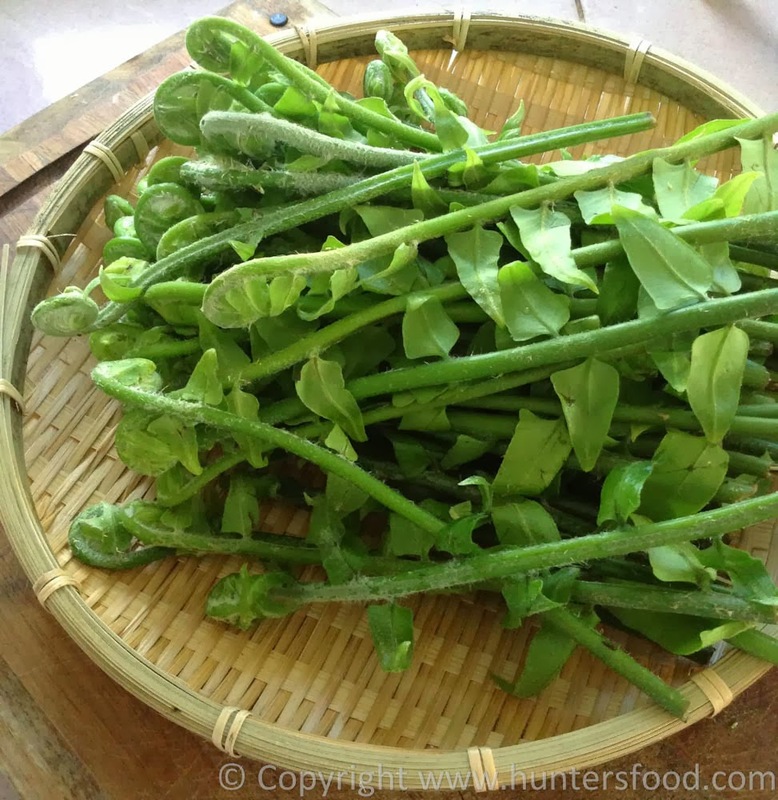 This vegetable are great as it is not easily overcooked, and it is crunchy too. 1. A handful of sword fern, cleaned and cut into 2inch (soft shoot only). Parboiled and drain if prefered. 3. Add sword fern and stir. If not parboiled, you may cook slightly longer than other ferns to reduce the slime texture and bitterness. 4. Add-in back the anchovies. 5. You may add-in a little bit of water if its too dry.